If you follow Taste As You Go on Facebook (and you should! ), then you know that I've had some exciting things in the works over the past few weeks. Revealing big news is somewhat of an art form, especially in this age of social media, and I knew the timing of my announcement had to be just right if I wanted there to be a ta da! factor. So, I chose to wait a little a bit to tell you about one of my projects until I had a chance to finalize some of the details. Good news... I'm ready to tell you now! 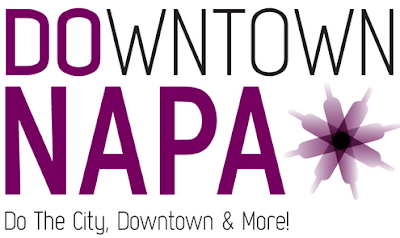 I have been invited on a three-day, two-night press trip to Napa on behalf of the Napa Downtown Association and the Napa Tourism Improvement District! When you think of Napa, I'm sure the first thing you picture are the wineries and the vineyards. In recent years, the city itself has become a world-class travel destination in its own right, offering visitors over 70 restaurants, over 25 wine tasting rooms, luxurious hotels, cozy B&Bs, and a wide variety of entertainment venues all within walking distance. It's been ten years since I visited California. The last time I was there, I was touring the campus of U.C. Davis, trying to figure out whether their graduate program was the right fit for me. Needless to say, I didn't have too much room in my schedule for exploring. Amazingly, this press trip includes lodging, dining, and entertainment, and, judging by my preliminary itinerary, it sounds as if they're going to keep me pretty busy showing me what Napa has to offer. I can't wait to share it all with you!